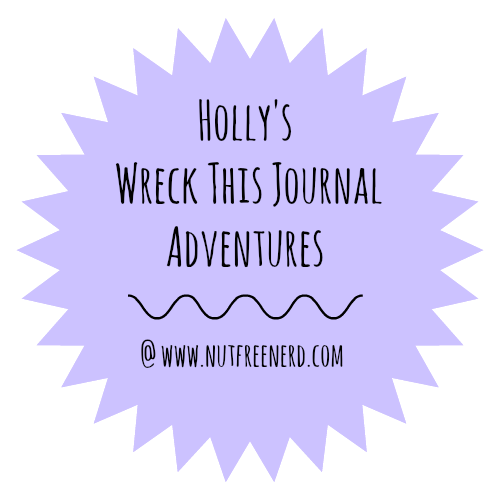 Welcome to my first Wreck This Journal Post! I received this book for my birthday a few years ago and I’ve been struck with a sudden desire to start it. I’m going through and doing random pages whenever I’m feeling inspired or crafty, and this is the first one I’ve completed. 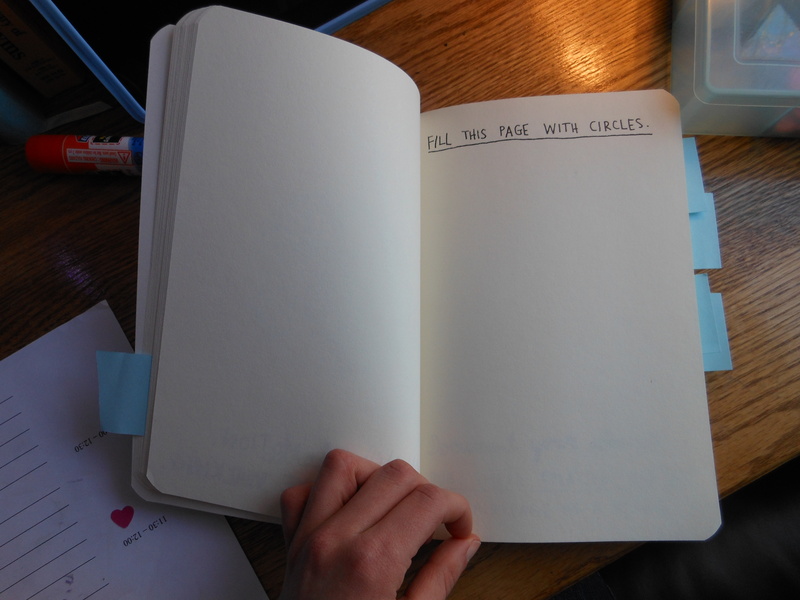 The instructions read: Fill this page with circles. At first I was going to just draw circles all over the page, but then I decided that I would try to do a little something different. Hence… BUTTONS!! Buttons are wonderful things. 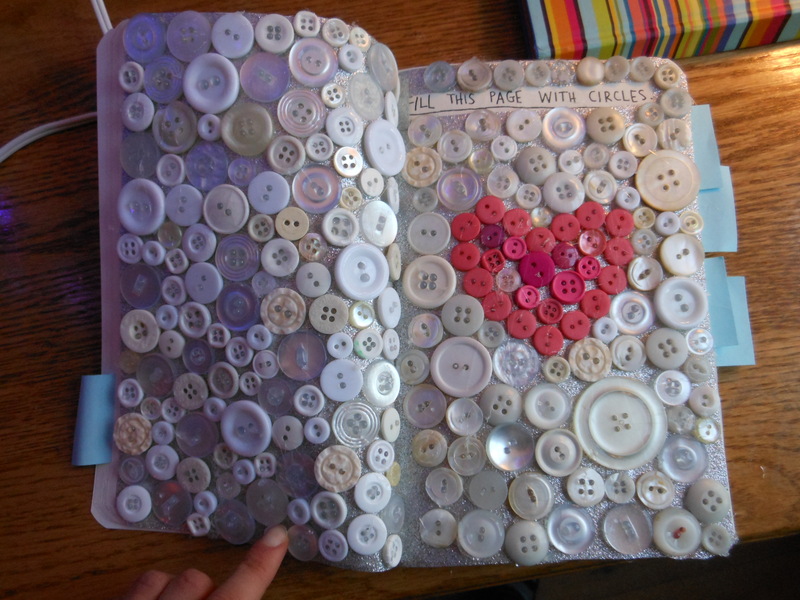 I covered the pages with sparkly silver duct tape first and then used my hot glue gun to cover it all with buttons. I’m really surprised at how the heart came out- I was really doubting whether or not you would be able to tell it’s actually a heart! I’m really pleased with how this first set of pages came out, and I can’t wait to do more wrecking! Thanks so much!! 🙂 It’s a ton of fun to do and there are countless possibilities for each page. If you decide to get one, keep me posted on your progress! I’d love to see what you come up with!